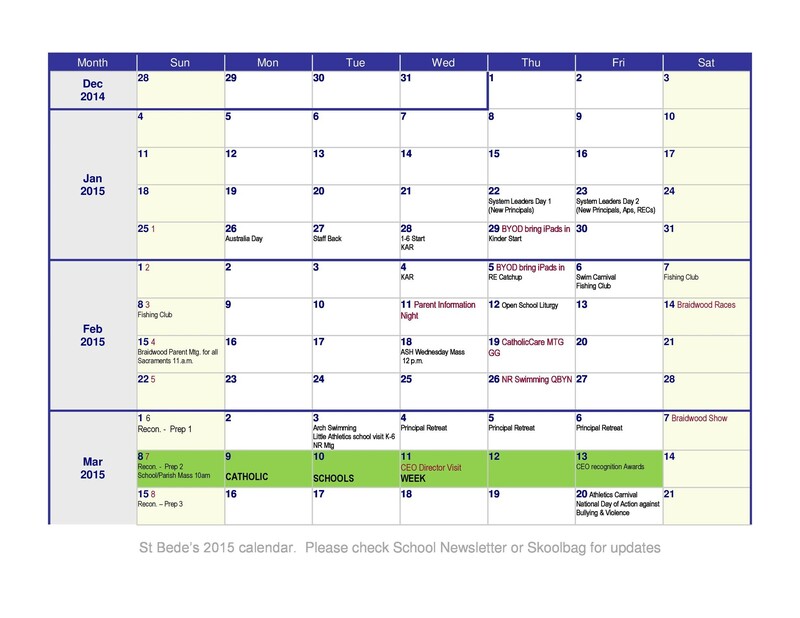 Do you have meetings lined up, last minute tasks and a busy working day ahead of you? If such is the case, then you may be one of those who have a very busy schedule. While you do come to office each day and do your work, you may still feel like you did nothing and made no progress on the high priority goals and projects. This feeling often occurs when you do not maintain a proper schedule. 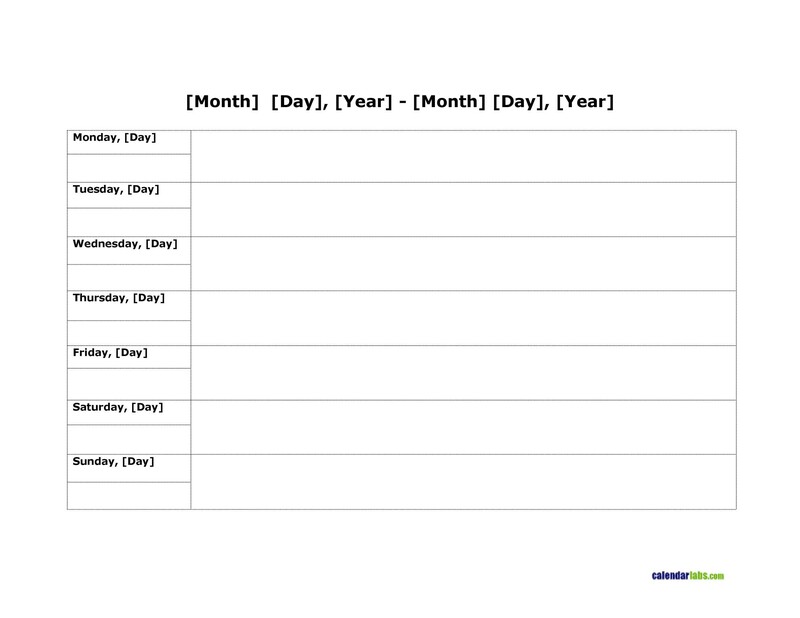 6 How to Effectively Schedule Time? You may have seen successful entrepreneurs managing a number of hours efficiently. 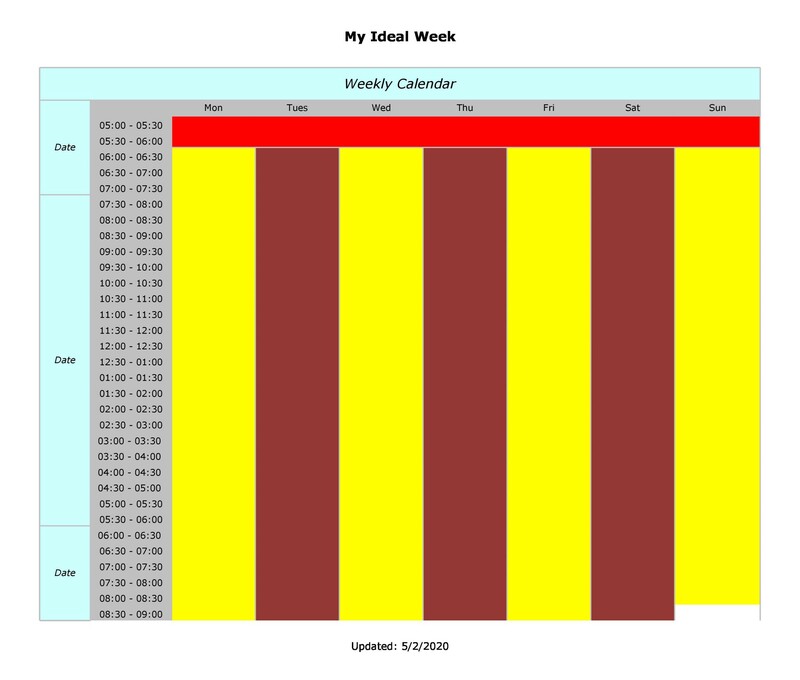 They normally use weekly calendar templates to set up high priority tasks and work. 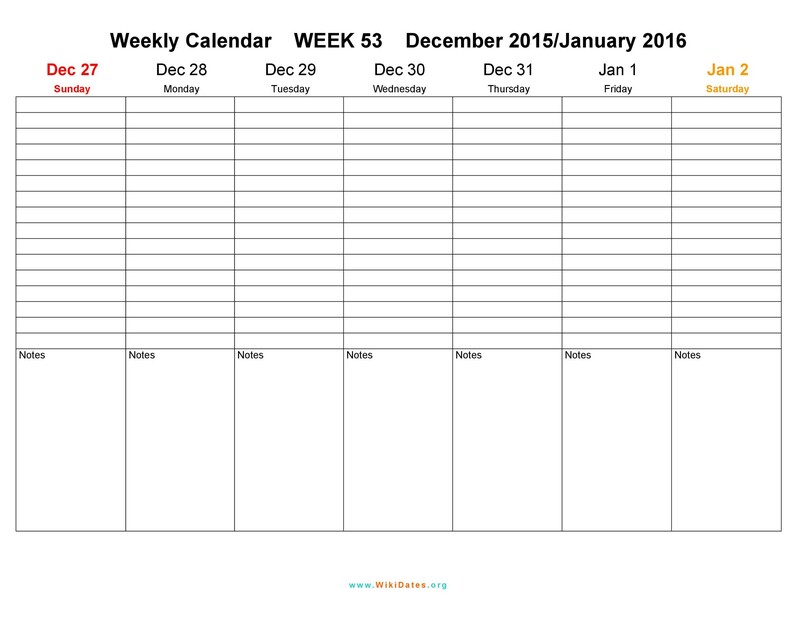 If you want to know how to manage time with week calendar templates, read this article. 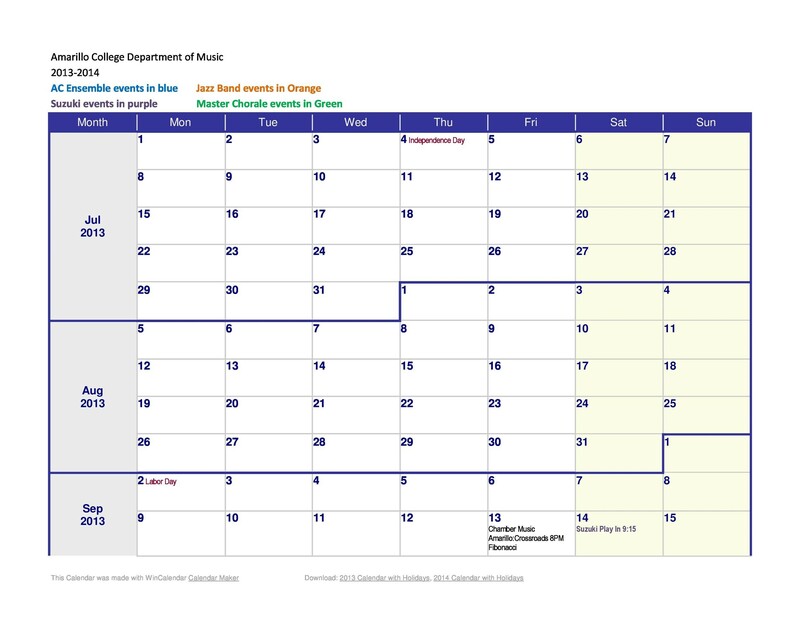 A calendar is a register, schedule, table or any of the system for dividing time efficiently, especially with reference to their length, time of beginning and divisions of the year. 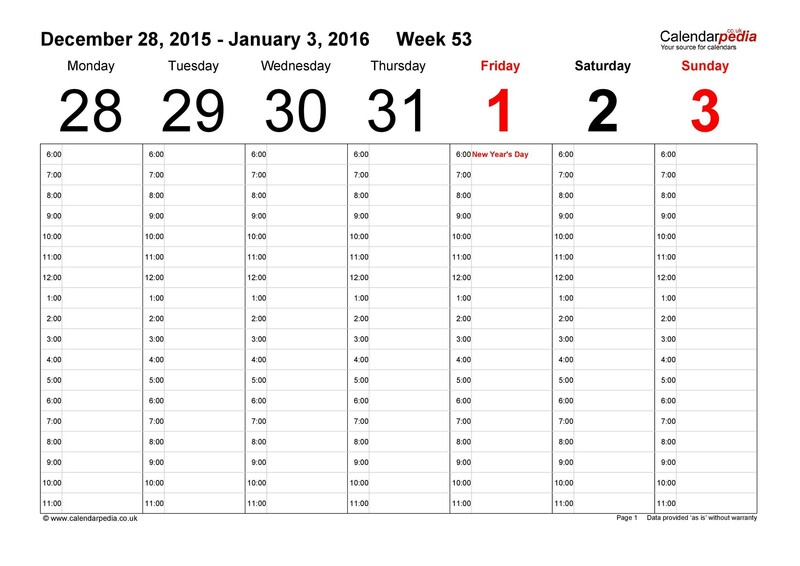 Depending upon the context, the week calendar template can either be from midnight to Saturday or even for seven consecutive days. You will understand that there is nothing that can stop you from doing your tasks on time. You can make sure that you have enough time for the tasks. You can avoid the things you that slow down the process. You can assign less time to things which require your least attention. You will be able to work steadily towards your career and personal goals. You will be able to get some time for your friends, family, hobbies and exercising. 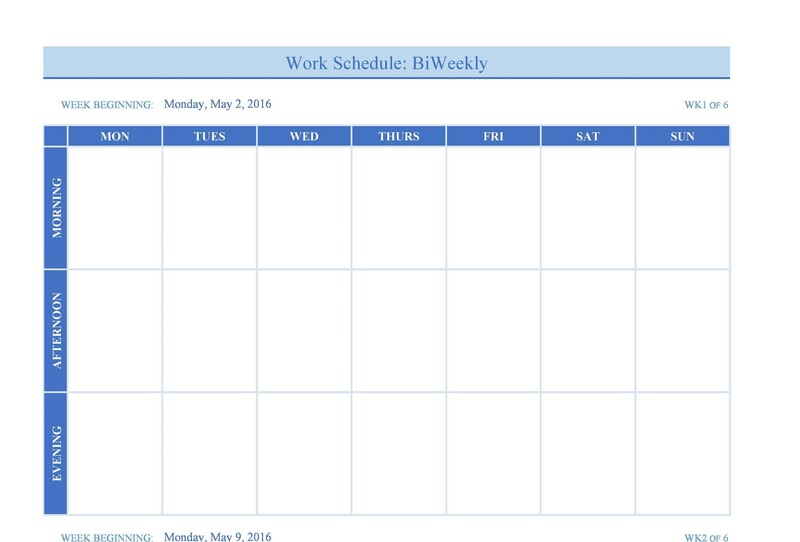 You will be able to achieve a very good work-life balance by having these weekly schedules. There is no doubt that time is one of the resources that money cannot buy. In fact, nothing can buy time. It can make you or break you if you do use it or do not use it efficiently. 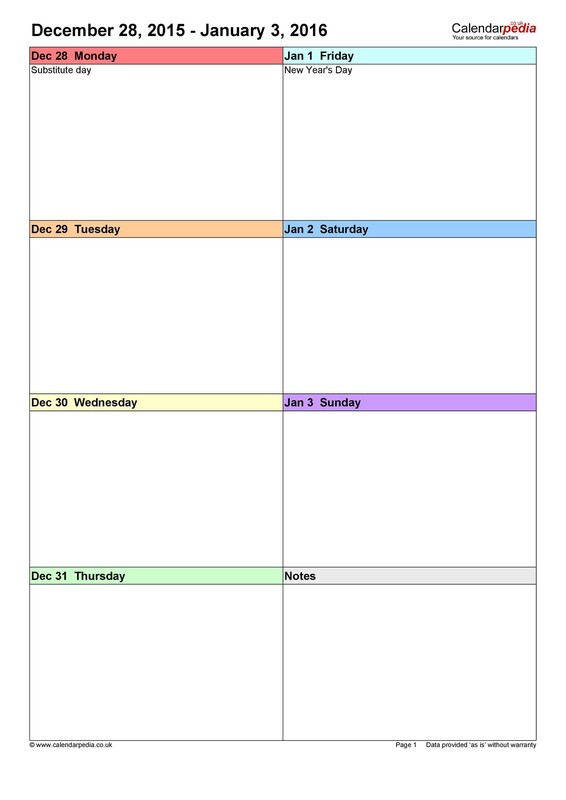 So, avoid using it ineffectively from today onwards and make your own weekly calendar templates. Scheduling will not only help you decide things for today but will also help you accomplish your long term goals for a day, the week, the month or even the year. By keeping a track of your accomplished goals, you will be able to achieve your long term goals. 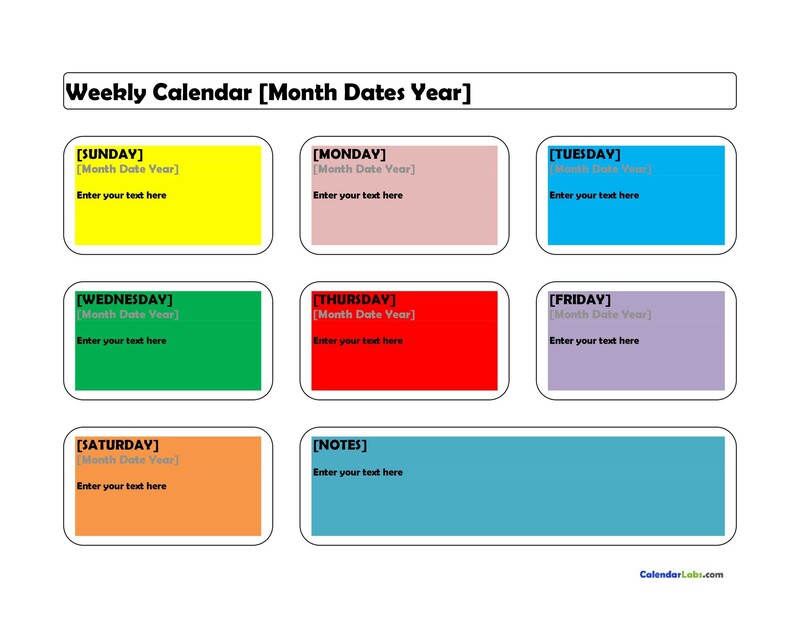 Calendars are of many types; you can either divide your daily tasks on the basis of each day or use weekly templates for it. 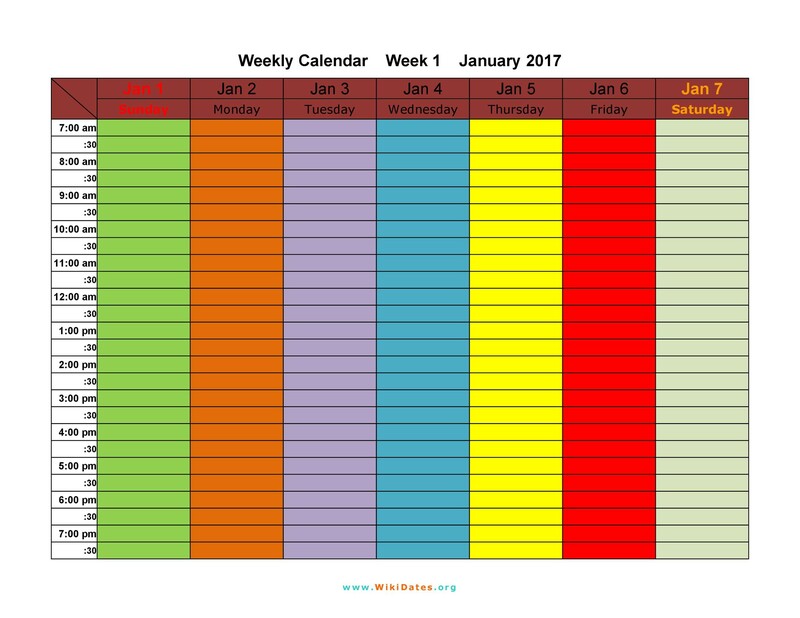 While the most popular types of calendars are weekly, therefore, we will be discussing about the two main types of weekly calendars below. 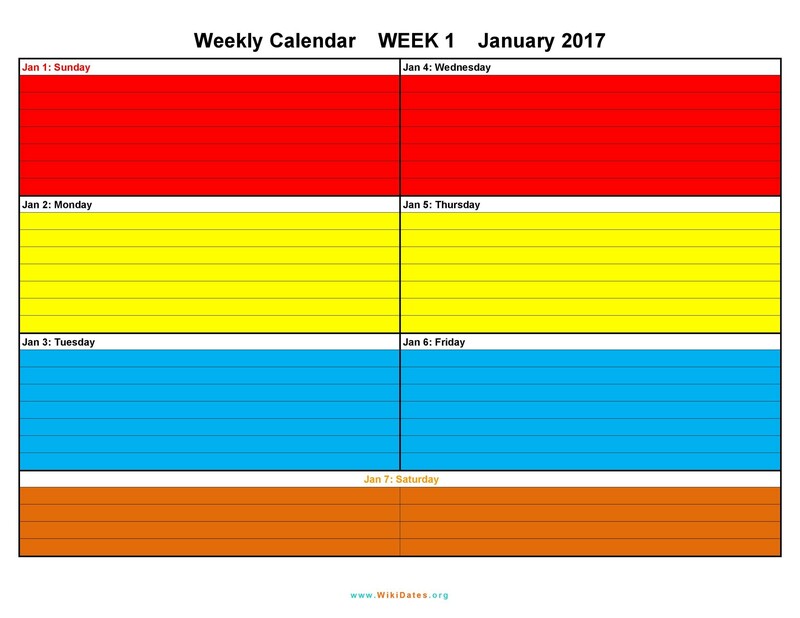 One of the main types of calendar templates is the horizontal weekly format. 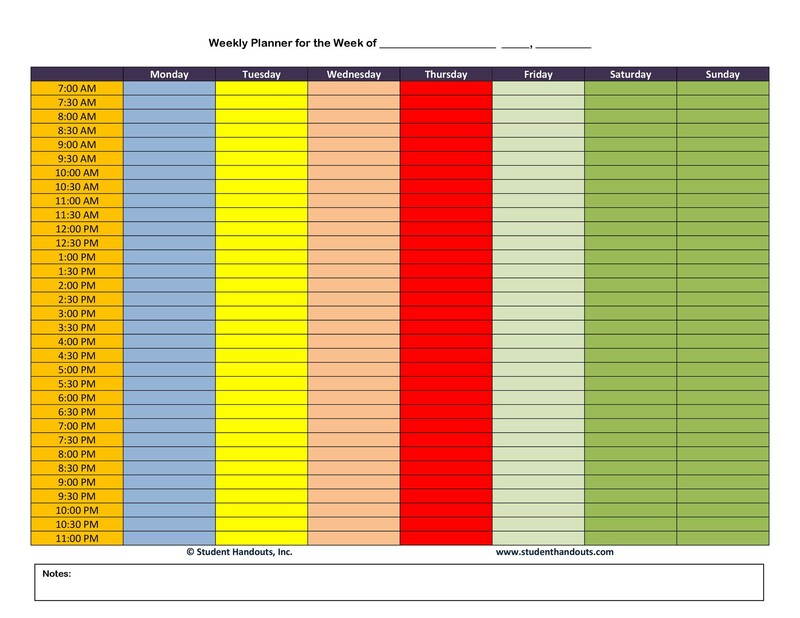 This format is the basic one and has the days spread across the page from Monday through Thursday on the right side while the rest of week is on the left side of the page. 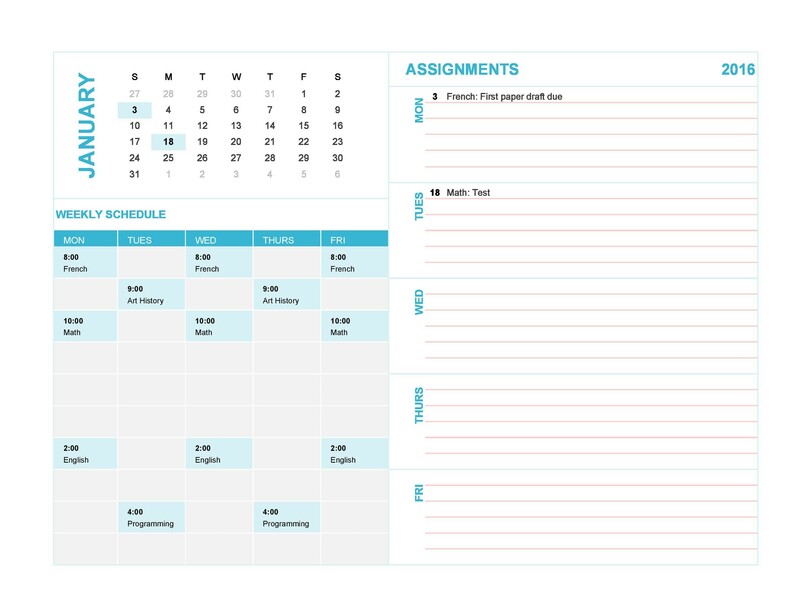 Also, a horizontal format contains spaces for notes on the weekly page to give balance to the layout. 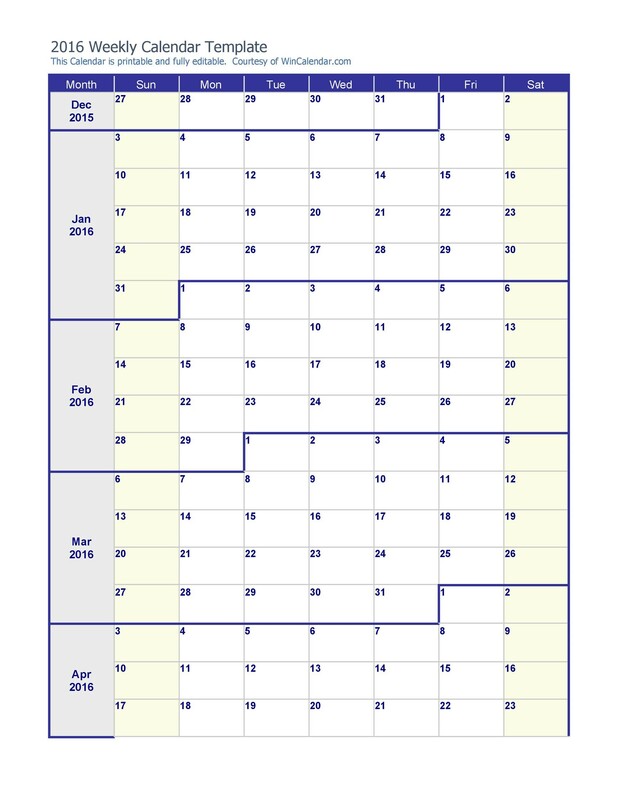 In the United States, this format is commonly used by people and many calendar brands make them in this format because of its wide usage in the market. 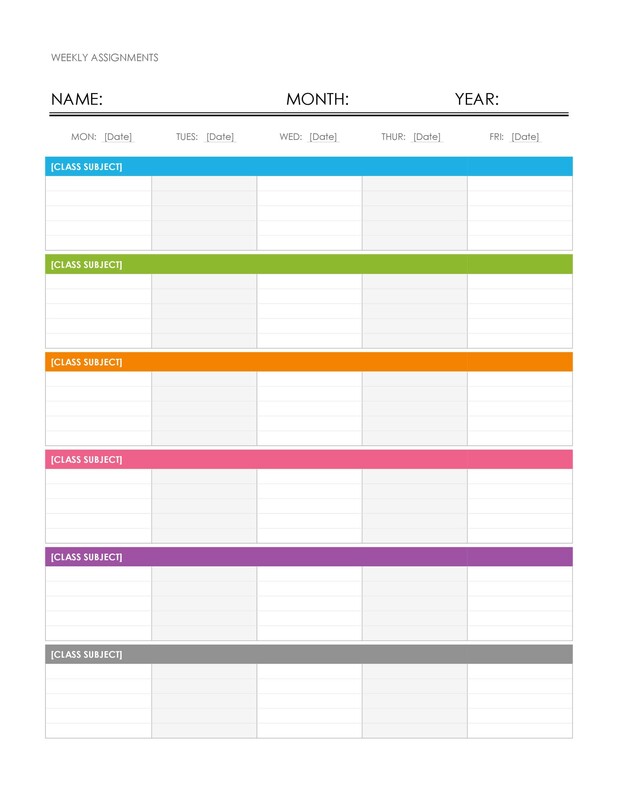 They can be found on many websites for free in the form of blank calendar templates for you to use. All you need to do is write your tasks in them and enjoy having a smooth schedule and to ensure that you get all your tasks done promptly. 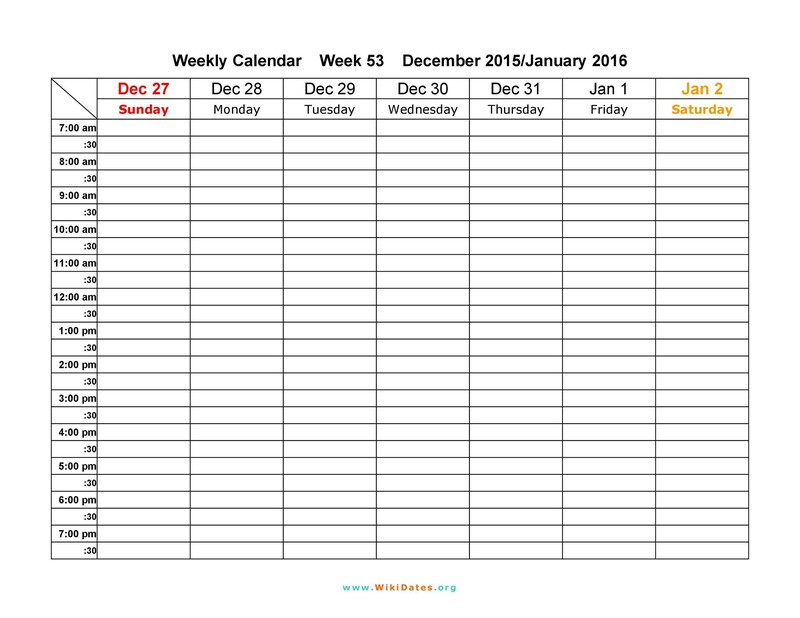 The vertical weekly format of the weekly calendar is another commonly used format in the United States. 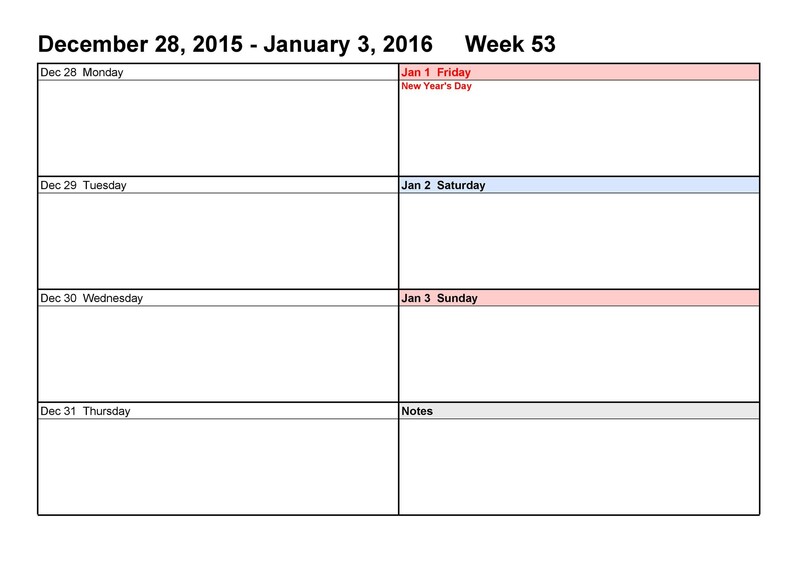 This format has seven days, Sunday through Saturday, written from top to bottom, to see your days in a column format. 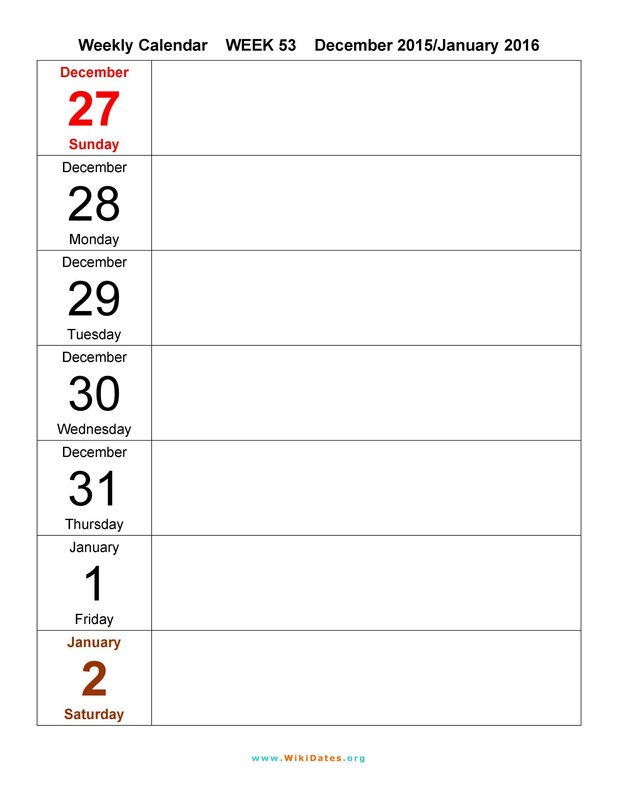 Some vertical calendars have columns with times while some are without time. 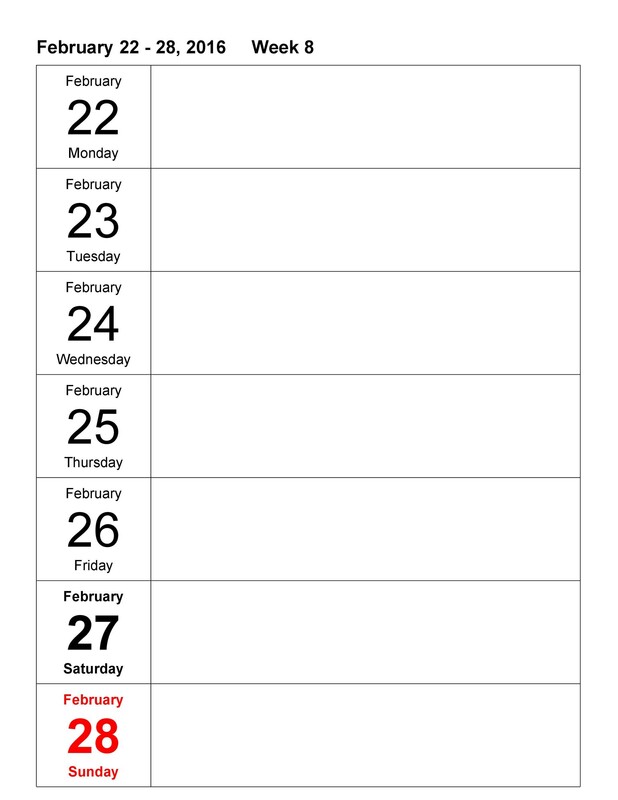 People normally opt for blank calendar templates. 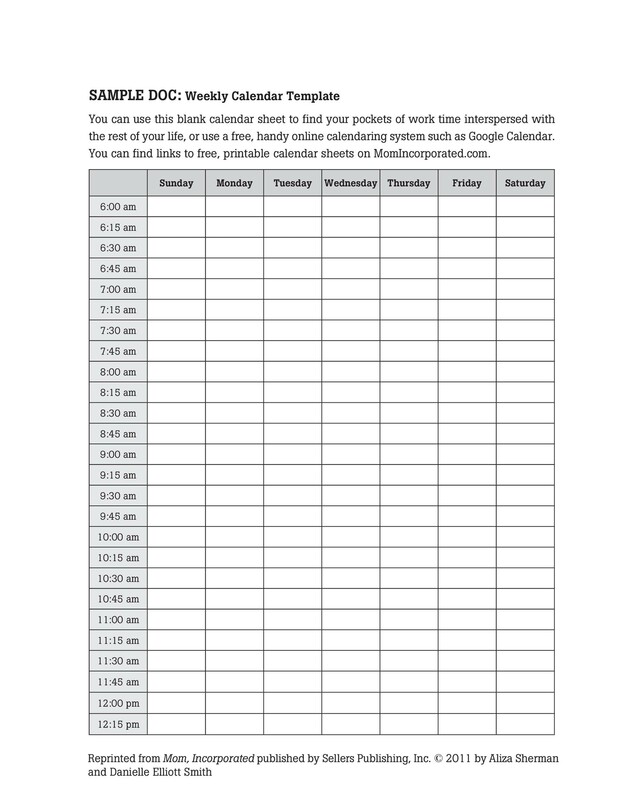 If we consider the usage, vertical calendars are helpful for planning activities which require more time and for seeing how much time is there in between events. 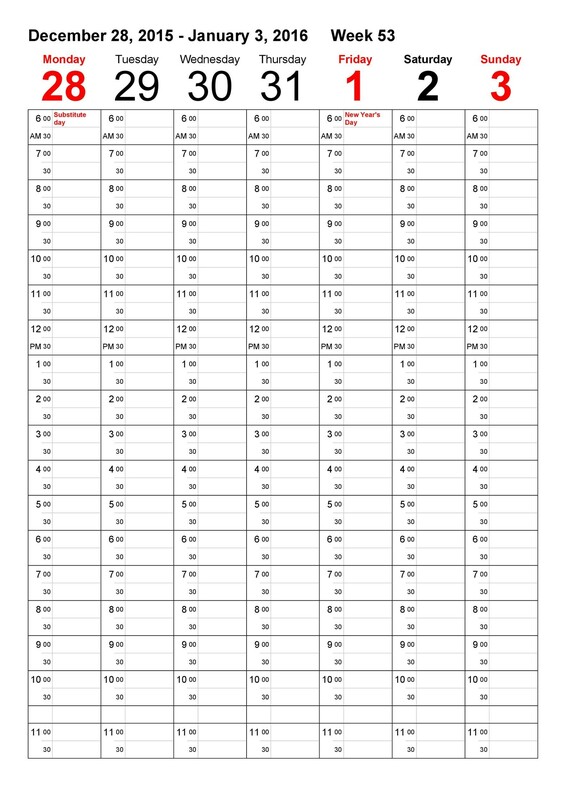 Another thing about this format is that the tasks which are not done can be un-ticked over the next day without having to write them again. 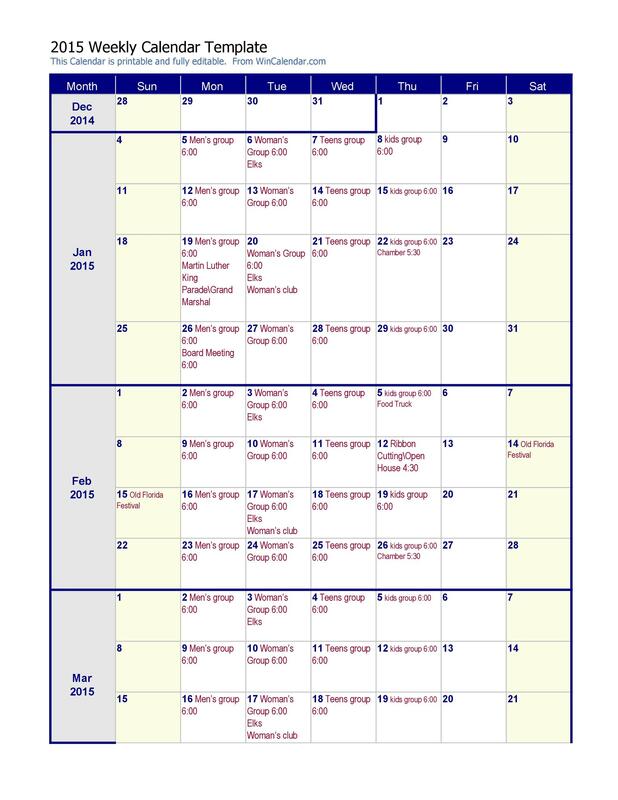 We have free printable calendars on our website; you can download them and make an effective schedule. The first step is to identify the available time by establishing the time for your work. You should see how much time you would require for a specified task. For instance, if you want a promotion and a good increment in the next appraisal, you should work harder than before. Therefore, you may allocate more hours to work. The next step is to decide upon the actions you will have to take to get the job done. For instance, if you manage people at work, you should have available resources to manage them efficiently. Your tasks should be divided into high-priority and low-priority sections. This will make things easier and will ensure what tasks you will have to work on first before moving on to the rest. Try to schedule the tasks which require the most attention (high-priority tasks) to the time when you are most productive. The next step is to set some extra time aside to manage any emergencies and contingencies. If your job is unpredictable, you will need more time as it could result in emergencies at any time. Now, it is time to fill up the discretion time that you have put for your priorities and goals. After you are done with the writing process, this is the step to analyze your activities. You should review the second, third and fourth step to see if you have written the necessary items or not. To be successful, it is important to manage you time properly. 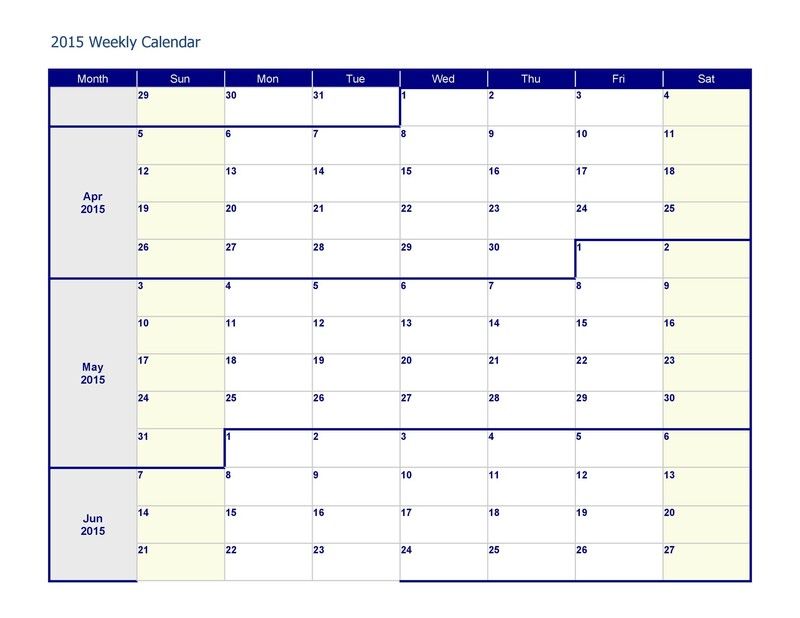 You can check and download the free weekly calendar templates from our main website and start managing your time efficiently from today!